Newcastle and Gateshead are places rich in history and heritage. 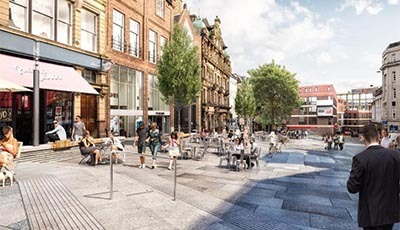 Over two millennia, Newcastle has been, in turn, a Roman frontier, a Norman stronghold, a great Medieval town, home of the railways, an industrial powerhouse and now a thriving and growing modern city and a regional capital. For many centuries the Castle, the Cathedral and the Market have been at the heart of the city. Here is where our story starts and where the opportunity to explore and understand the city begins. 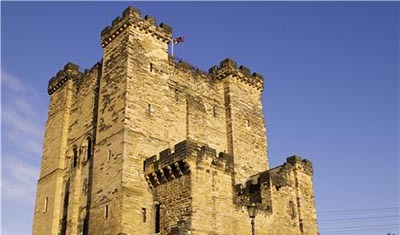 One of the best preserved Medieval castle keeps in the country, with special events and spectacular views over the city. From the Middle Ages to the present day, St Nicholas’ is a place where the stories of local people can be found. A world-famous Medieval market place that boasts a wealth of buildings of architectural and historical significance. 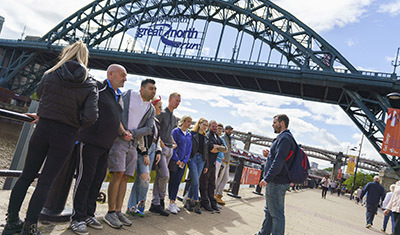 Newcastle City Guides are knowledgeable and enthusiastic volunteers who deliver tours on the culture, history and heritage of Tyneside. Discover Jacobean domestic architecture at the 16th and 17th Century Bessie Surtees House in the heart of Newcastle. Plan your trip with NewcastleGateshead. St Nicholas Cathedral has been the home of a caring and worshipping community for over 900 years, offering visitors beautiful architecture and a place of serenity. Maritime organisation housed in a Listed Buildings complex dating from the 14thC, with a collection of maritime artefacts. 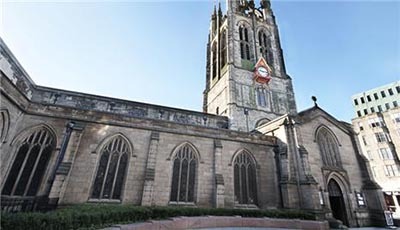 The Heritage Centre is based within the former St Mary’s Church which dates from the 12th century and is a Grade 1 listed building.